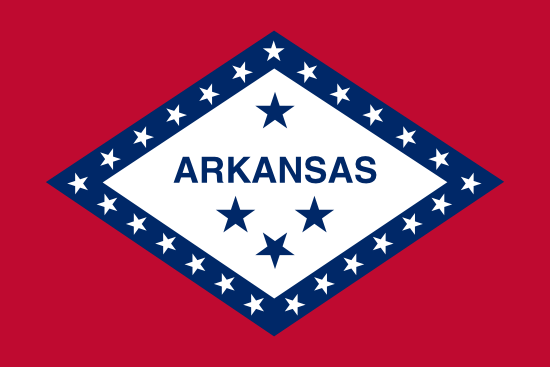 Arkansas is one of the many states that doesn’t allow any type of legal sports betting anywhere in the state. The state offers one of the most unique sports footprints in the nation. The entire state’s sports field is basically dominated by a single team. Of course you can find sports teams at the high school and even small college level throughout the state, but the only team that has much of a loyal following in size is the largest college in the state. Even though placing sports bets isn’t legal in Arkansas, residents still have quite a few options when they want to place a wager. In March every year thousands of Arkansas residents join office pools and place bets on the big NCAA basketball tournament often called March Madness. This is widely accepted in Arkansas and around the nation but is clearly illegal in most jurisdictions. Two of the biggest NCAA tournament pools I’ve been involved with over the years were run out of the court house. The pure hypocritical nature of this still amazes me years later. Of course it didn’t keep me from participating, but it’s a clear indication of how screwed up some of the laws are in the nation. The biggest bookie in the county where I lived at one time worked in the court house and everyone knew who he was and what he did. He later stopped working as a book maker when he got in trouble for a few other things he was involved in, but as far as I know he never faced any charges associated with book making. Arkansas is one of the largest states without a team in any of the four major professional sports leagues. They don’t have an NFL, MLB, NBA, or NHL team. Though Arkansas has a few smaller colleges, the state is dominated by the Arizona Razorbacks. Fielding strong basketball teams most years, the school also is well known for their baseball program and football program. You can find a great deal of debate about the legality of placing bets on sports online. Some people claim it’s perfectly legal and they back up the statement by saying no one has ever been arrested for betting online in the United States. While I believe the statement about lack of arrests is true, I don’t feel it proves that the practice is legal. I’ve never been arrested for speeding on the road I live on but it’s still against the law to drive over the speed limit. Other parties claim that online sports betting is illegal because of an ancient law often called the wire act. Some others point to different laws, but most states don’t have any laws that clearly state anything about online sports books or online gambling. Even the federal government doesn’t currently have any laws that clearly state online sports books are illegal. They have laws that deal with moving money into and out of online gambling establishments but everything else is vague at best. Do your own research to decide if you want to place bets online. If you decide to start sports betting online take the time to find reliable and safe web sites to work with. If you don’t want to explore online sports betting you only have a couple other options in Arkansas. Though it isn’t easy or cheap, you could travel to Las Vegas and place bets in the legal sports books there. For this to be profitable you’d need to be a large bettor and spend extended time in Las Vegas during most seasons. You could just travel into the city on weekends for football season, but even that would get expensive fairly quickly. Another option is finding a group of people who want to bet on sorts and try to find ones who are willing to take the other side of games you want to bet on. This is the cheapest way to place bets because you won’t have to pay vig. The main problem with this method is it’s often difficult to find enough sports bettors to have enough opportunities to place bets. You also have to worry about everyone involved paying quickly when they lose and finding people willing to take the other side of games. What often happens is everyone in the group wants to bet the same teams. In an Arkansas based group most players will lean toward betting on the Razorbacks. Finally, you can find local people who will take bets. These are usually called bookies or book makers, and they work strictly against the laws of the state. If they get caught they can (and sometimes do) get arrested and charged with a crime. The good news for a prospective sports bettor like you is the authorities don’t usually bother with the people who are placing the bets, just the bookie who takes them. This doesn’t mean it’s legal to place bets with a bookie, just that it is a crime that is generally ignored. Though I’m not aware of a sports bettor ever being arrested or charged in Arkansas, my limited understanding is it can be a misdemeanor. In a state that acts for the most part like they only have one football team, one basketball team, and one baseball team, you won’t find any clearly legal ways to place sports bets. But if you want to place a wager on one of the Arkansas Razorback’s teams you do have a few “gray area” options. You can find another sports bettor to place a bet with, use an online sports book, find another sports bettor willing to take the other side of the game, or use a local bookie.